am a kid and nuts and yams and stuff are gross!? And I like sweet potatoes. roasted. I like them mashed. I like them made into chips or fries. It happened in the last 2 years. Something switched and I liked them. that he sent me to a world full of sweet potatoes. As I reflect on Thanksgiving, I think about the progression of change. year we've gone through a bit of transition. A year ago I sat in my living room and was still, and content. crazy year... I can be still and content. I think about how I went from not liking sweet potatoes to liking them. I think about how I went from being unrestful, to content. It makes me thankful to God. 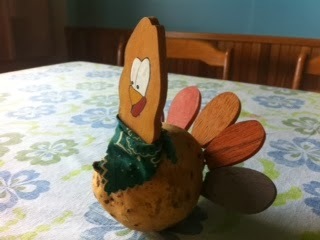 My wife made this Thanksgiving decoration by putting these painted parts into a local food much like a Yam called Kaukau. Our family has been debating over its name. 2 Weeks of meetings complete! For the past two weeks I have been involved in leadership meetings where we make decisions regarding the direction of our work in this country. We are the group of people tasked with representing the over 350 members and their opinions. 350 people and find ways to strategically aim our efforts towards Bible translation. Often this means going into a lot of nitty-gritty detail and documentation, long discussions, and difficult decisions that in the end are sometimes hard to communicate. Many of you know that communication is my passion, and so it wouldn't surprise you that I found myself up in front of the podium for part of a public meeting explaining the decisions that had been made during the meeting. Though improving communication is my passion, I've also enjoyed being a behind-the-camera kind of guy. Part of my training to come to PNG has been public speaking preparation, and I honestly don't get too nervous about speaking in front of people. The only part that makes me nervous is my desire to be sure that my love for these people I support with my work comes through my words. Sometimes in the detail you can get lost from the bigger picture. I feel good about the decisions we made in this meeting, and there are 2 significant praises. The first is that I made it all the way through. I missed the last of these meetings because I was medivac'd. Today was the final day of meetings, and not only that, I wrote the check that allowed us to pay for the medivac that had me missing the last meeting. we've booked and paid for our flights home on furlough, and we've paid for our medivac debt. The bad news is, we have no safety cushion. So if something around the house breaks, or we have another medivac, we will be in very bad shape. 2 weeks as the secretary, any current action item list is so long it'll take me weeks to accomplish... but I feel good about it and not overwhelmed! -Finance - we have been tightening the belt, so-to-speak regarding things we need, in an effort to save money for paying off our debt. That means we don't have some things we need, and have been working around them. Our home printer broke, so my daughter has been having to take her homework elsewhere to print it. We could use a nicer cushion so we felt free to buy a new printer. (temporary) family member. 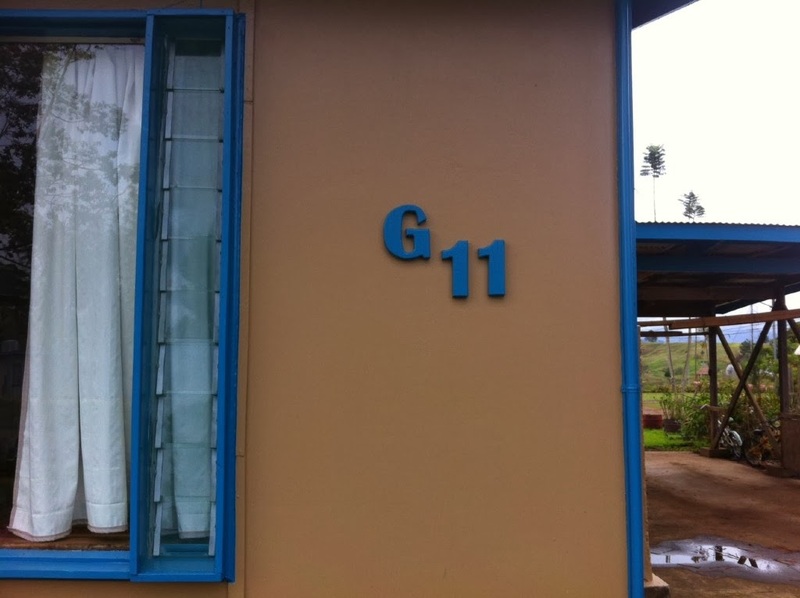 Stacey is a 14 year old PNG 9th grader who needs a place to stay. Her parents work remotely at Bible translation and can not afford for Stacey to live near the school. We have agreed to take her in until the remainder of the school term. She is sharing a bedroom with Sydney. She's very polite, a good athlete and a good student. It's been nice to have family conversations with her about her faith and about her life. Please pray that our family would be a blessing to her. We are thanking God this Thanksgiving weekend for you, your support, getting our finances back on balance, being healthy, and having just finished a really busy couple of weeks! My wife made this Thanksgiving decoration by putting these painted parts into a local food much like a Yam called Kaukau. Our family has been debating over it's name. For those unfamiliar with the idea of a geocache, I would recommend this <a href="http://www.geocaching.com/guide/">link.</a> It's a great family hobby! A dogtag, is a trackable, which is a derivation of geocaching. The idea is that someone sees your dogtag, picks it up, goes online, reads your story, and moves it towards it's goal, while registering on a website that they found it. For 6 years we hadn't heard a word on our 4 dogtags, and assumed they went missing. But recently one of them has popped up in Germany and we've been getting responses. OUR dogtag goal was simple. To have the dogtag travel the globe and then be handed to us in person in PNG while spreading the news of Bible Translation. We'll make new friends that way and have a great story to tell about the dogtags trip around the world. Today was our first non-English comment on the dogtag. Hab ich gesehen in den Händen von Elbenschreck, der ihn weiter mit auf Reisen nimmt : )    So I ran it through Google Translate and it came up with    "I have seen in the hands of same shock, which further takes him on a journey." HA HA HA HA! I have only guesses as to what that might mean, but I think SAME SHOCK is actually 'Handen von Elbenschreck' which is a location. So I took this to mean "I found your dogtag in Handen von Elbenschreck (town, name of a cache? a statue? you never know where a geocache might be hiding), and I'm going to put it in another cache that will take it further on it's journey.' How cool! Anyway it's currently in Niedersachsen, Germany, after having gone mysteriously missing for a period of time. so far our dogtag has travelled 7,160 miles. A donation of $7000 could save us $250 a month for the remainder of our time here. A friend of mine recently installed an Outback battery backup/solar inverter system in his house. The panels up on his roof charge the batteries in his house, and the batteries power his entire house well into the later hours of the night. As a result, his large initial investment has saved him $75 p/month on electricity. Electricity in this country is expensive. Our bill is approximately $250 a month, and that is AFTER taking several power saving steps some of which I've blogged about. The price of electricity keeps going up, but the SUN... she's a free! In the setting up of his system, I've been keenly alert of his progress. He's taught me a few things. The First is that batteries are about 50% of the cost. Shipping them here is pricey, maintaining them, and keeping them charged. WHAT?!!! I had no idea your power meter (that spinning wheel in glass outside your house) could spin BACKWARDS! This system wouldn't provide as much as his did, but it isn't as complex or expensive either. Batteries provide protection from over-voltage (spikes), under voltage, power outages etc. A sunny-boy system would still be subject to all of that. So we would still need UPS's on all our major electronics. But the idea that a simple $7000 initial investment would have very little to no recurring maintenance costs.... and could save us up to $250 a month seemed like a no-brainer. The investment would pay itself off in under 30 months. That's under 2 and a half years, and after that not only is all our future electricity free, but whoever owns this house after we leave the country wouldn't have a power bill. WOW! can you imagine THAT as a selling feature? "Buy this home and never pay for electricity again". Does it seem too good to be true? Well no. We don't have the cash for the initial purchase... nor do we have the expertise to install it. But I know people who know people. We would be a guinea pig installation, and because of that I think I could get friends to install it who are interested in proving the concept. It's also not as good as a battery system. For $4000 more you end up having the TOTAL system, with power protection etc. But that system wouldn't be right for a house with too many buttons and levers to flip already. $1000 buys the installation and mounting hardware. I wonder if people would be more willing to donate for a one time ticket item, instead of agreeing to support us for $250 per/month for the rest of our lives... because that's what it would be. If I had the capital right now, I would do this. I'm not willing to go into debt to do it, but I think it would one of those investments that keep on giving... because the price of power is only going to be going up. Today I turn 40, so pardon me whilst I pontificate. The 40 years I've spent on this Earth have been good. Though I do not consider this world my home, I've spent 40 years passing through it and have seen more blessings than any man deserves. I was raised in a wonderfully loving family who obeyed and followed God. I love them enormously. That right there, is more than many men can say. I met a good wife, and she gave me two good kids. We have been married 17 years. We have followed the guidance of a good God, who has sent us down a good path. And here I am 40. I don't have a gray hair on my head. I weigh less today than I did when I was 20. It's a small point of pride because I was pretty fat at 20, and I completely plan to enjoy pie again in my 50's. In the past decade I've seen my little children grow from toddlers to a young man and a young lady that I'm happy to know. They also love and serve the Lord. I've traveled to an exotic country, which is something I never planned to do. I've worked in exciting fields, and met exciting people. I've upheaved my entire life, and come out better for it. I've made good friends who I enjoy greatly. I've done it all not on my own, but because God has chosen to bless me. -Since I was 5, I've tried to obey God at every turn, and though my life has not been perfect, it has been good and I have very few regrets. Any regrets I have were times I chose not to obey Christ, and yet through them I have learned to grow closer to Him. Thankfully most of those regrets did not generate long term consequences that I've had to live with. It's easy then to forget the pain. My life story is really just an example of one life where 1 man has endeavored to please God, and along the way, has turned out rather pleased with how it's turned out thus far. I've always had this sense of doom… like 'my life is going so well, it has to have some bad things happen soon.' But I realize, I've had bad things happen in my life. Harm has come to those I love, to my family, to friends. When those times come, my gut is to turn to God for help. I know it can be trendy to question your faith during these times, but I don't have that luxury. I don't get angry with God, I don't question His goodness or existence. The only thing I question in those times is whether or not this is going to be one of those challenges He helps me through quickly, or wants me to spend more time experiencing it for some reason. Still I've had this sense that no man deserves what I have been given, and so I am doubly thankful. In the next 10 years, I hope to see my children graduate high school, and possibly college. I hope to hang on tightly to whatever God throws our way and remain a person with a thankful heart. I hope to see the friends and family around me mature and experience new things. I'm looking forward with hope and anticipation because the last 40 years have been pretty good. If the next turn out to be bad, I'll figure that's fair, and hope to still be able to give God thanks no matter what. doing here... trust me there's a lot of neat stuff happening. My blogging about work items has reduced greatly for 2 reasons right now. is all over social media. content of their blogs. (It wasn't anybody I know). intentionally derogatory about this country or its people. written with the intention of imparting some of my wonder to you. Sometimes the wonder is more on the side of -Wonder meaning Confusion-. And sometimes that wonder is more on the side of -Wonder meaning Awe-. certain blog entries checked, an edited. words and be wise in what I write publicly. always tried to be the person who did what was needed quickly and well. people who weren't what I called 'ACTION people'. They were 'talkers'. always turned out to benefit everyone involved. longer, I would have only had to do the thing 1 time instead of redoing it. therefore I wouldn't do it. from it. Because to me, procrastination is evil. He who hesitates is lost. And I had to learn to wait and plan. And I had to learn to be patient with unexpected difficulty. And it drove me nuts for the first few years. fruition in the same month. What WAS procrastination, became careful planning, and patient waiting. 5 months ago, I wanted to cut down a tree. needles in the gutters were promoting rust, I needed the tree cut down. be calm and patient and trust that something will happen. I stepped out and this is what they said. we want the playground up before Christmas." the only thing you can really control in life... your attitude. 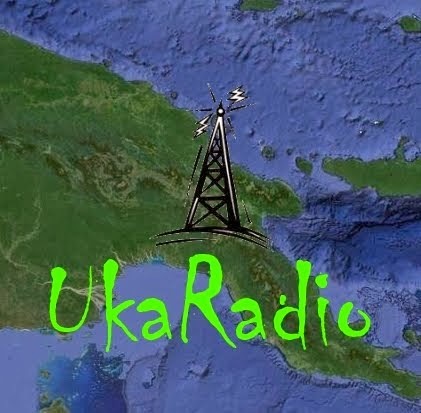 Faced with the reality that communication is about being understood, and a desire to include our PNG friends with announcements and what is going on, I have begun a streaming INTRANET radio channel. (only available internally to where we live, not on the internet). It's not a podcast, it's a LIVE radio show that records itself and then re-broadcasts the recording on loop with music. -I am using Audacity at the heart. Check my levels, record the show, using a USB mic headset in. -I am using a Barix Instreamer as the streaming/live converting unit. I have my computer's headphone jack out going to the Barix in. -The Barix sends it's stream to a shoutcast server I built on Ubuntu linux, which serves out a url that people can click on to listen. -Because I'm using the barix, I can use iTunes to play the music, other software to play sound effects or whatever I want... if I can make it come out of my speakers, it can go on the air. -after the show goes OFF air from being live, I move the headphone jack from my pc, to an ancient ipod I have synced, which starts playing the playlist on loop. The ipod is almost useless for anything else because it has no battery charge, but it plays a playlist on loop, and so, I have found a use for this old piece of hardware. If you were to look at my computer you'd have no idea it was a radio station. That's because the hardware I put together for it, fits in ziplock baggie, it's so portable. The idea is that since it's a DHCP unit, streaming to a STATIC linux server, it can be anywhere with a network connection. This means I can recruit neighbors and friends to be guest DJ's. Right now I'm using it to announce important items, community bulletins, etc. Test audiences seem to like it... they like the idea of not having to READ all of the announcements, and having something they can listen to while doing other things. For me, it's just a fun creative outlet, I do it at lunch time, on a lark. We'll see if it takes off and if people tune in. One of the things I love about our subculture here is our yearly Carnival. 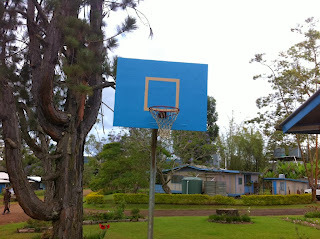 It is put together by the students at the school, and it is a time to celebrate as a community. Any money raised goes to charity. The reason I LOVE Carnival, is because you get to see the innovation, which to me translates into grass roots fun! 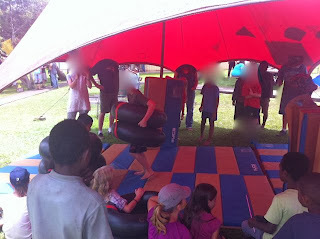 Sumo wrestling. Why buy hard to get Padded Sumo suits when you can duct tape inner tubes together? We even have an AirShow.... Remote Control Planes and Helicopters. 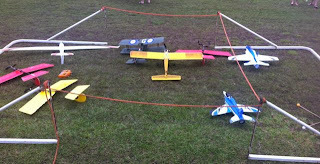 The RC fans practiced to show us loops and rolls and unison flying, on a small scale. And finally, the Ferris Wheel. 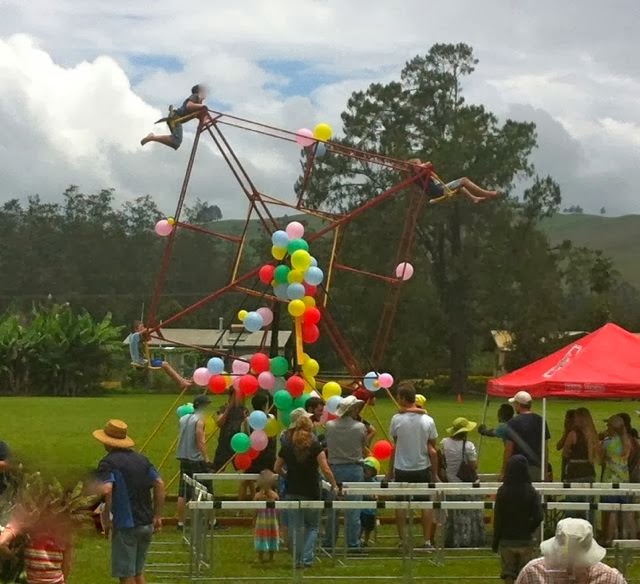 A home made (welded and designed) steel contraption, powered by the teenage boys, who jump up, grab a bar, let gravity work, and then let go. It's an amazing feat. No electricity required. Only the context would be different. I personally think this down-home annual 'fair' beats any large fair I've ever been to in California, because it's more simple, it's a fun time at a time when people need something fun. I can't really say that growing up here means you miss out. Sure we don't celebrate halloween, but we have carnival.... and it's a wonderful part of living here. 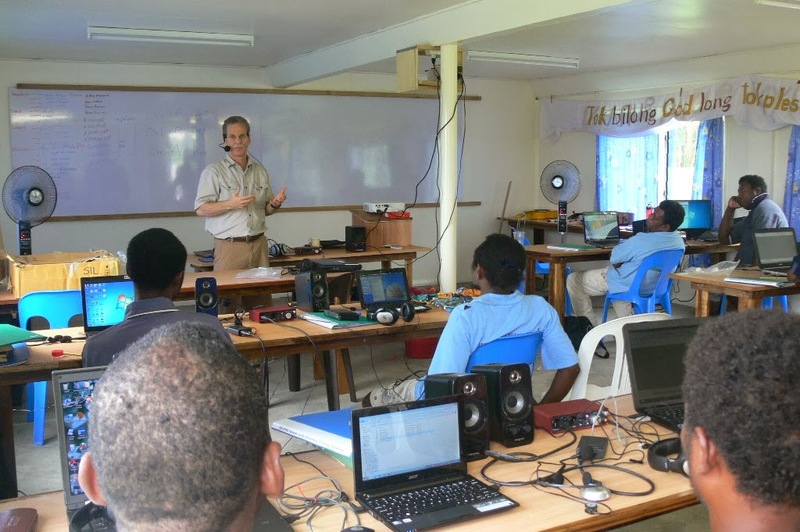 Our department sent a team to the remote areas of Kavieng to conduct a training course which taught Nationals to record and edit audio Scripture. Some of them had never used a computer before and so much of the time was spent teaching basic skills, but as our hopes are to train people with the skills to turn their own translations into audio recordings, it was very promising that this class went well. 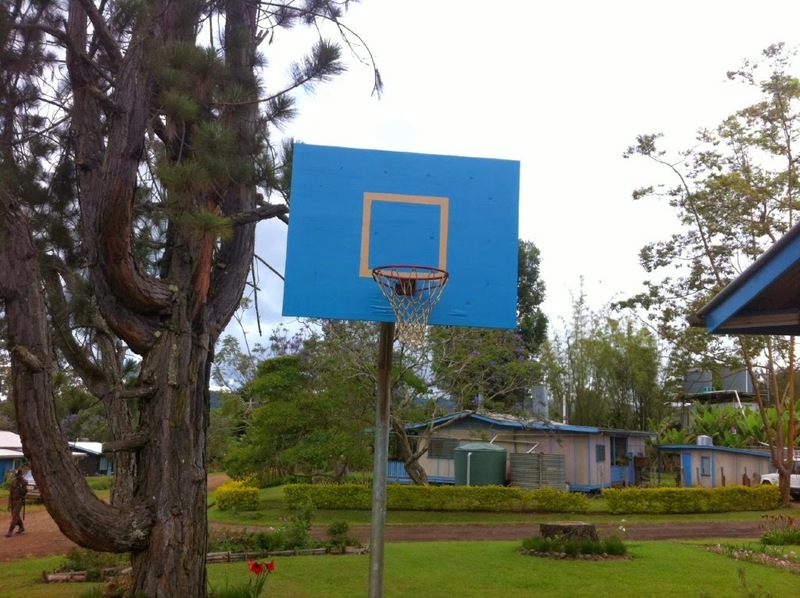 I doesn't look it, but this picture is taken in the sweltering hot areas of tropical PNG. Three home improvement projects that cost nothing. 1 - Putting the Lot number on our house. -took a piece of scrap wood. -used a bandsaw, and cut out the shape of the letter/numbers. -put double faced tape on the back of the letters, and put them in place as a family (we had to agree how they should go). -NOW people can find our house! -paint with a brush, using leftover house paint. -paint by hand using BROWN leftover house paint. Need: - we have 3 water tanks. Yes that's a lot of water. Here's how water works in this house. The rain lands on the metal roof of the house, to the gutters which fill the water tanks. The bottom of the tanks are plumbed together and go to a water pump. The water pump takes the water and pumps it into the showers/sinks. HOT water comes from the flowing up to the roof, through solar panels, into a hot storage tank, and then runs gravity feed into the house. BUT, when it rains a lot and all three water tanks are full, they run over. That overflow often times in other houses will go down a drain pipe, into a gutter, and out to the river. BUT, this house didn't have that. As a result the overflow was eroding the ground around the base of the water tank, which over time will lead to the weakening and possible failure of the tank. SO... today's big project was to create drainage for 3 tanks, into 1 location. BUT... PVC pipe is expensive. It's $10 for 1 meter. Fittings, couplers, elbows, etc, all cost $15-40 dollars. IT's very pricey. SO... HOW was I going to do this drainage to stop the erosion? -Step 1 - for Chore day, dad assigns himself and the kids to DIG ditches. -Step 2 - the kids whine a bit after only 3 hours of digging... Dad inspires them to dig more. -c. using pliers and a screwdriver, pry, break, snap the inside pipe out, leaving a good joint in tact. -Step 7 - Realize that now you need to put an 80mm pipe into a 100mm fitting. So go get an old tire, cut it up, and zip tie it around the 80mm pipe and then snugly fit it into the 100mm fitting. -Step 9 - fill in the ditch. Steps 5-7 are not necessary if you buy the right size fittings. But the blog heading says it all. Time or Money. I didn't want to fix the drainage and have it cost me $200, because odds are, the erosion isn't going to be that bad. It's just as easy to put stones at the overflow, but nice drainage means you can avoid muddy messes of still water that breed mosquitos. So, jury rigging it was. I do not recommend using coffee cans, pieces of tire, duct tape, and wrong size fittings when doing plumbing. But keep in mind, this is a overflow drain, and so long as it was all going down hill, it didn't have to be water tight. 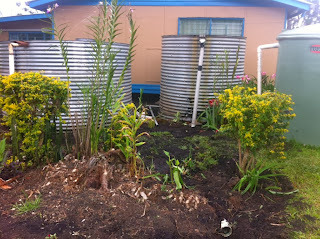 Now, the water flows out of our tanks, and into and around our garden, thus avoiding wasting even a drop. I do not advise jury rigging plumbing. Do it right, by the right fittings. 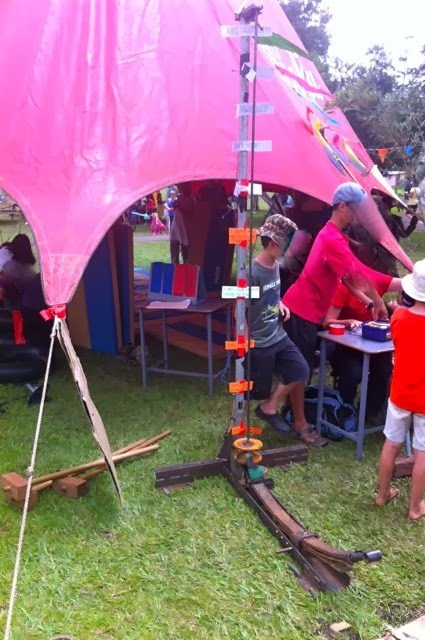 Jury rigging takes effort, creativity and time, and almost always turns out not to work 100% and is frustrating. I'm not proud of my drainage project at all, but I'm proud that it costs me nothing more than time, which was well spent along side my kids doing work together.